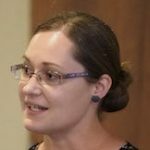 Tanya is a PhD candidate at James Cook University, Townsville. She holds a Bachelor of Biomedical Science from CQUniversity, and a Graduate Diploma of Research Methods from James Cook University. Tanya’s research is focused on the epidemiology of tuberculosis in the Balimo district of Western Province, Papua New Guinea, aiming to support the Balimo TB control program.